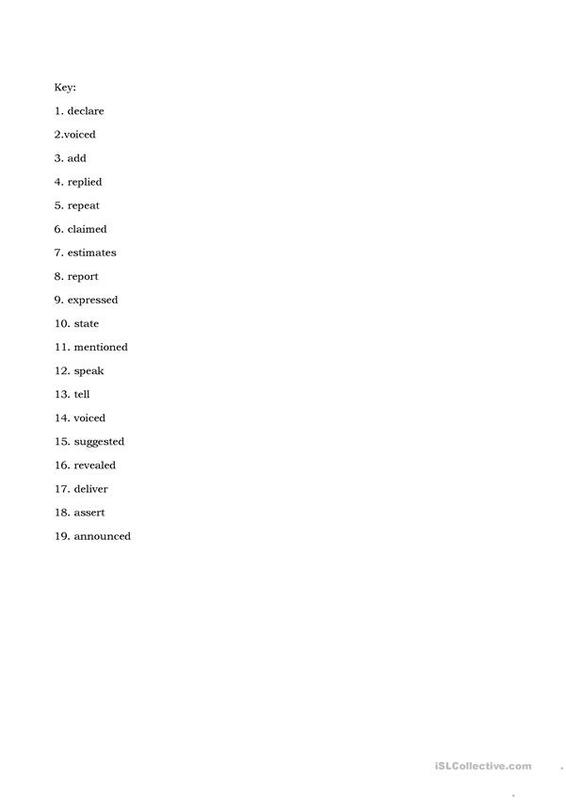 A list of synonyms of the word SAY must be used in the sentences on the right. A second exercise has another four synonyms of say which must be matched with their definitions. This downloadable teaching material is meant for high school students, adults and students with special educational needs, learning difficulties, e.g. dyslexia at Intermediate (B1) and Upper-intermediate (B2) level. 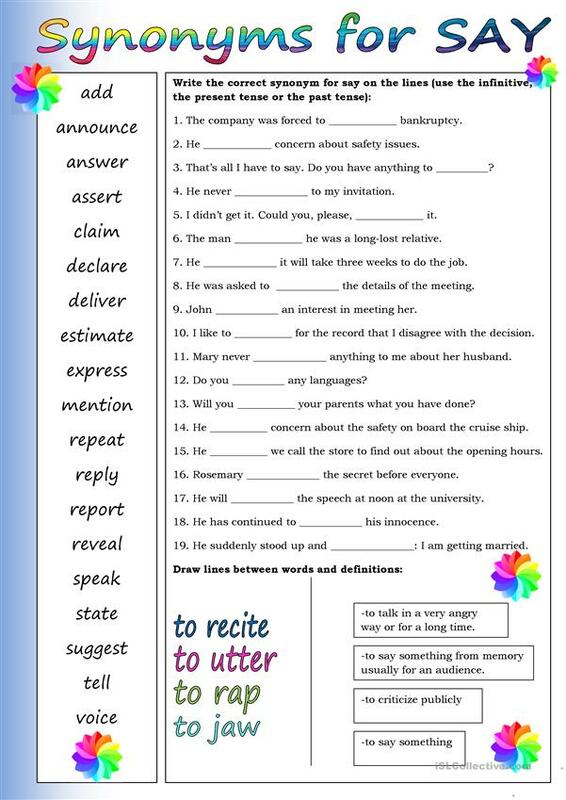 It is aimed at practising Verb phrase in English, and was designed for improving your class' Spelling, Reading and Writing skills. It focuses on the topic and words of Synonyms.